On top of the actual gameplay during matches, there is also this massive global war meta game to account for. Five continents divided into 20 districts each must be fought over to gain dark matter for your faction. The Variant and Paladin factions contest these zones, completing matches in a zone they select to progress its capture; the better the team does, the more progress they make. The first faction to 100 dark matter wins the season and is awarded with a special helmet and achievement. Jetpacks – It’s rare to have a game which is essentially about shooting so wholeheartedly welcome the jetpack to its core mechanics. 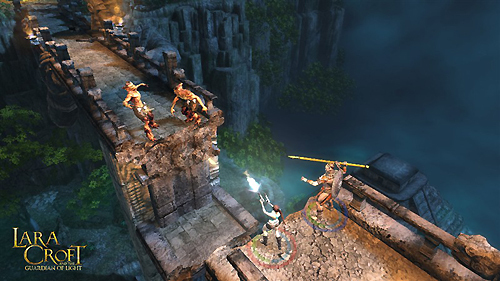 While “on rails”, jetpacking through the air, players are free to twist and turn to aim, change directions or just dodge the hail of gunfire from the ground. It’s a thoroughly exhilarating feeling to jetpack in on some encamped enemies, hidden behind a Warbringer bot, flying in guns blazing. Loadouts – Loadouts have been done before and they’ve been done well, but Hybrid really brings something powerful to the table. The fact that you can fully customize your loadout while dead grants players an adaptability unparalleled by most shooters. You can choose from any combination of weapon, ability and a specialization (mild stat boost) to suit your playstyle and synergize with your team. On top of all that, the amount of abilities and the variety of combat situations they address is vast. Map design – Hybrid‘s maps essentially consist of the waist-high cover spots and things that are actually in the way- they’re incredibly focused. All of the maps are memorable and simple in shape and in premise. In fact, of the maps include two different types of 8, a square, a cross, etc. There’s no gratuities here so learning maps is quick, painless, and rewarding. Combat – Every good shooter needs to have strong combat, of course! 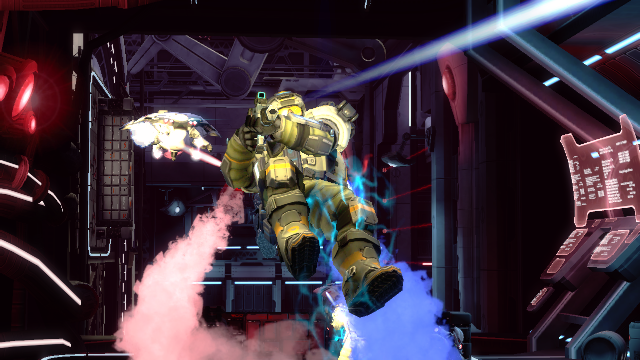 Hybrid‘s loadout variety creates incredibly dynamic combat situations full of twists and risky maneuvers. The adaptability brought on by the loadouts heavily rewards micro-tactics on the battlefield, sometimes single firefights can turn the tide of an entire battle. The game changes quite a bit from game mode to game mode, but on average there really isn’t much camping for a game so centered around camping. Shooting is satisfying, jetpacking is thrilling, the bare foundation of Hybrid is ridiculously strong. No private matches – Anything multiplayer, shooter or otherwise, is more fun with friends; platitude or not, most people likely agree with this. Unfortunately, there is absolutely no way to play against your friends if they are on the same faction as your own. You are allowed to change factions only once per season, and even then there’s no way to ONLY play against your friends privately. The absence of custom or private matches is baffling and upsetting. Meta confusion – Hybrid‘s version of Earth is being ravaged by a war between Variant and Paladin factions in the pursuit of dark matter. 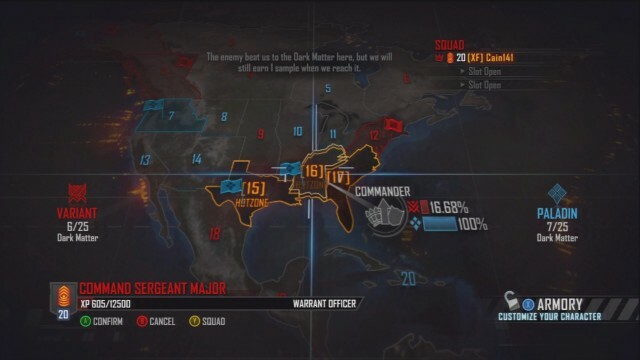 The gist of this meta game consists of reaching 100% in one of 20 districts (in one of five continents) to collect two pieces of dark matter- the second faction to reach 100% in the area only gets one. Hot zones are marked on the map to highlight areas with a high amount of combat activity and competing in them grants a minuscule 150 XP bonus. Sometimes these hotzones show up in places which do not make sense to participate in (for instance, if a zone is 20% to 80% in favor of the enemy team, competing there is likely a waste of time) which diverts unaware players away from the proper goal. While the majority of players seem to understand this, the implementation of hotzones is distracting. The percentages and colored bar graphs that fill each zone are clear enough representations of conflict in the zone. That said, the meta game, while integral to the theme and persistent environment of the game, only grants a helmet (with no stat boosts) per win/loss and an achievement for winning the season. Perhaps it should have been more important so players would pay more attention to it, but this reviewer feels as it is, most people will figure it out and be fine with it. We can’t know until the end of the season. 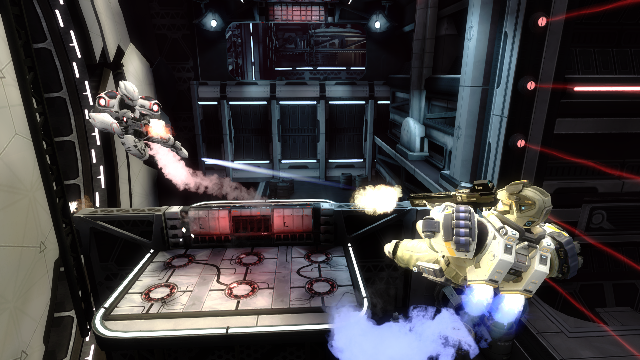 Snowball effect – One of this game’s other features in combat are killstreak bots. Upon successively killing enemies (human or bot), players can summon in AI-controlled bots to assist them in battle. This mechanic works on average and really helps flesh out the combat, with the 1 and 3-kill bots being reasonably simple gameplay mechanics. 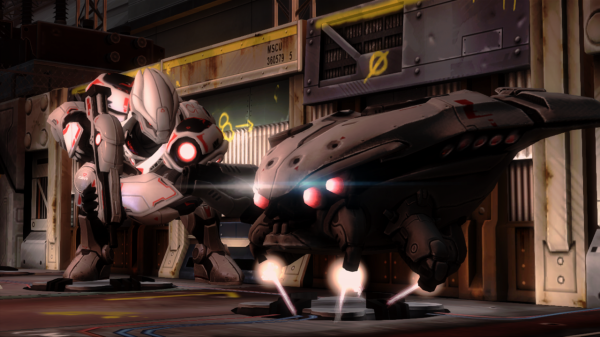 However, the 5-kill bot is an insta-kill bot which is difficult to shoot down before it latches onto an ally (or you). The mechanic is enjoyable, it’s challenging, but if all three players on a team are on streaks the game can quickly snowball beyond any chance of a comeback. Learning curve – A minor complaint, but there is a very strange realization that will hit most players new to the world of Hybrid. Not moving on actual ground is just odd, made moreso by a greater wealth of familiarity with traditional FPS games. That is, games with ground. It’s just weird, okay? Takes a good dozen matches or so to get used to. We have changed my score for this game from Try It to Buy It, back and forth, twice now. Hybrid‘s gameplay is seriously entertaining, especially for lovers of shooters, and there’s really nothing else like it right now. It’s tactical, it’s filled to the brim with variety, and the shooter foundation of the game is solid, enjoyable, and rewarding. That should really be enough to sell the game, but there’s more to shooters than combat, more to it than progression systems and seriously impressive map design. Most people will not care in the slightest about the lack of private matches or the bizarre implementation of the meta game in general, but enough will that an admonishment is well deserved. On top of that, people who do not play shooters will have a very hard time with this game; you cannot play this and be “bad” at shooters, it will not be fun. It is with those words of warning that we staunchly, adamantly recommend this game to any fans of pew pews, kabooms, and whatever sounds jetpacks make.